June | 2011 | The Jamestown Comet. The book is a painstakingly referenced mixture of theologically-based studies including literature, philosophy and spiritualism, offering the reader unique insights into the Bible and its origins. The author’s goal is to help readers on a path to their own illumination. According to Deer, Images Old and New has been chosen as an accompanying text this fall for one of the religion courses at the University of Dayton. Writers of theologically-based fiction are also showing great interest in Images. The book is to be the focus of several panel sessions during the 2011 Context Alternative Fiction Literary Conference in Columbus, August 28-30. Currently the book is available in paper and hardback editions online, directly from the publisher or by contacting the author’s publicist, Gery L. Deer by calling (937) 902-4857. Limited copies are available for scholarly review by application to the publicist. Excerpts and a full bibliography, as well as scholarly reviews of the book, are available on the official website http://www.imagesoldandnew.com. when it comes to alcohol-impaired-driving crashes on our roadways. crashes over each year’s July 4th holiday involved some level of alcohol. drive with a BAC of .08 or higher. of one impaired-driving fatality every 48 minutes in 2009.
enforcement dispatch — because you may just save someone’s life. make other arrangements to get where they are going safely. For more information, please visit http://www.StopImpairedDriving.org. its own version of either a hybrid or fully electric passenger car. about driving an electric car. destruction caused by the extraction process. the increasing number of plants needed to meet power demands. themselves pose an environmental threat. freely disposed of in normal municipal landfills. predetermined plan for their complete disposal or breakdown. not going to help the environmental problem. Ohio. Read more at http://www.deerinheadlines.com. JAMESTOWN – Over the past several months Miami Valley residents have been exposed to a barrage of ads from websites and software companies who claim that they will clean up a computer’s programming and make it run faster. These firms then take credit card information, remote into the PC and install invasive software that, at best, turns off some of the Windows maintenance features. 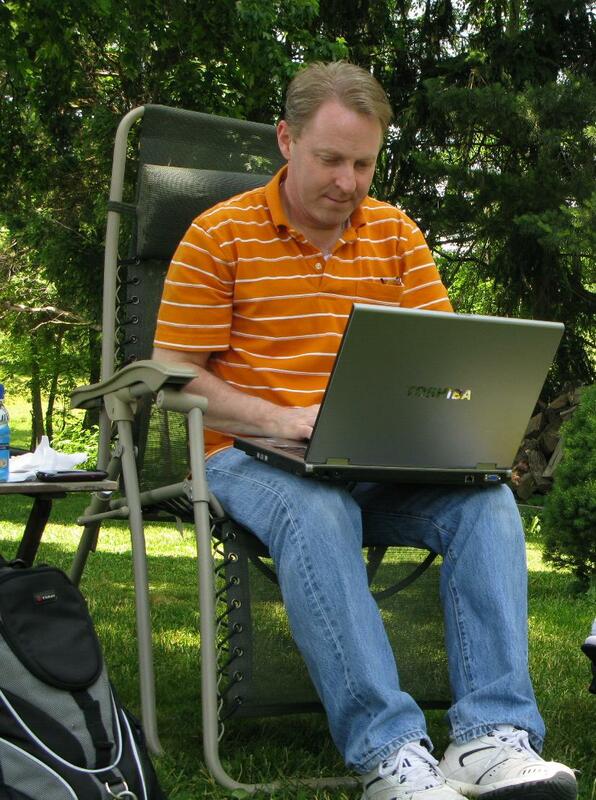 Local writer and entrepreneur, Gery L. Deer, is the owner of Deer Computer Consulting, Ltd., an on-site computer support firm based in Jamestown. Deer said his company has been inundated with calls relating to consumers who have been taken advantage of by companies offering so-called optimization packages to speed up slow computers. Deer added that he’s had to go so far as to issue confirmation of repair letters to credit card companies on behalf his clients to help them recover payments when refund requests were ignored by the online service providers. Deer also noted that there is rarely a need to install third-party software to speed up a computer. Additional programs running in the background only add an operational burden to the processor and would just serve to slow the machine down even more. Security is also an issue here. Deer cautions people about letting any third-party have access or remote control over your computer. “Most of these companies use the Windows remote access program to go into your computer and manipulate its operation, load software and even extract information,” Deer said. In response to these calls, Deer Computer Consulting, Ltd., has initiated a flat-rated computer check. Priced between $49 and $79 per hour, depending on the type of service and the location, a technician will perform a check on the computer to look for malware, viruses and the presence of any unwanted software. From now until July 21st, Deer Computer Consulting, Ltd., will be offering free phone or email consultations to help local consumers determine whether they need further help with slow, lagging computers.. For more information call (937) 902-4857, or visit http://www.deercomputerconsulting.com. SPRINGBORO – Miami Valley Golden Heart Senior Care, LLC, has opened a new office in Centerville to serve seniors in Warren, Prebble, Butler, and Warren Counties. In order to fill non-medical homecare staff vacancies the company will be holding a job fair from 9:00AM until 2:00PM on Friday, July 8 at the Springboro Dorothy Lane Market Upstairs Community Room, 740 N. Main St. in Springboro. Miami Valley Golden Heart Senior Care, LLC, will be filling numerous positions in anticipation of rapid client growth over the next several months. Those selected for these jobs will work as in-home companions, home helpers, and provide other non-medical personal care. All Applicants will need a copy of current Driver’s License, proof of car insurance, proof of eligibility to work in the USA such as birth certificate, passport, or social security card. Background checks and drug screening will be required of new hires at employee expense. Applicants should be prepared to complete application, provide resume, and speak with a Company representative during this process. Those meeting all requirements will be called back for a second interview and completion of employee paperwork, drug screening and background check. Inquiries many be directed to Kim Bromagen at 937-985-4911. Miami Valley Golden Heart Senior Care, LLC, offers 24-hour, 7-day services to help elderly clients remain in their homes longer while still living full, productive lives free of some daily tasks that may have become more difficult as time passed. They can assist with personal care needs like bathing, meal preparation and mobility as well as grocery shopping, managing bills and keeping up with medications and appointments. Assisted Suicides: Compassion or Murder? Do the terminally ill have the right to choose when and how they die? Or, should those patients be forcibly subjected to the pain and horror of suffering a slow, agonizing death as a result of their disease and the effects of its treatment? Who, but the patient, should have the right to decide when they’ve had enough? One might assume in a free society that an individual who was so inclined would have the right to end his or her life, at the time, place and method of their own choice. On the contrary, for those who wish to avoid what awaits them towards the end of their days, there are few options available, none of which are dignified or 100 percent successful. In the United States, suicide, in and of itself, is not a crime. After all, someone who has taken his or her own life has pretty much outrun the long arm of the law, so what would be the point? What most people forget, though, is that society already has a variety of accepted “assisted suicide” methods already in place, but no one thinks of these options in the same way. When a person is being kept alive artificially due to an accident or illness they are usually in some kind of unconscious state. In these cases, a living will can be used to inform the doctors of precisely how and when to end treatment. Many proponents see assisted suicide as the same set of choices. The only difference is that the patient is capable of making their wishes known at the time. Here’s another example. Hospice organizations do what they can to address complications from illness and provide comfort care to terminal patients while making every effort to preserve their dignity; even if doing so means withholding treatment and allowing a patient to pass away. None of these procedures are ever attacked as immoral nor are those responsible prosecuted. In 1990, Dr. Jack Kavorkian supervised the suicide of a 54-year-old Michigan woman who had been diagnosed with Alzheimer’s disease. Immediately following the incident, he was arrested for murder. Since no laws were in place specifically listing assisted suicide as a crime, Kavorkian was released and the charges dropped. Kavorkian eventually served eight years for second-degree murder after admitting to assisting with the suicides of 130 terminally ill patients and died earlier, at the age of 83. Though even proponents of assisted suicides had reservations about his methods, it was hard to deny that the so called “doctor death” had set a precedent that could not be ignored. Keep in mind that the majority of non-assisted suicides are the result of mental breakdown or emotional impairment. Any widespread sanction of assisted suicide would most likely require that the medical community agree to guidelines relating to the mental status of the patient and a specially trained physician would be required to administer the procedure. Since the legality of such a practice is based on a society’s cultural beliefs, there are also moral issues to consider. Most religions view suicide as a type of murder – the murder of oneself – which is, of course, a sin. In the case of assisted suicide the person who helps the patient to die would also be guilty of murder. Ultimately, however, the moral and spiritual consequences of assisted suicide rest with the terminally ill patient and their attending physician. For those who make the choice to end their own suffering, they should have the right to do so medically and painlessly, under the care of a doctor. Physicians with the courage to honor a dying patient’s final wishes with dignity and care should be commended, not prosecuted. On death row, lethal injection is used to painlessly and humanely execute the condemned prisoner who is attended by a physician and supervised by someone who makes sure the procedure is done with dignity and care. It is somewhat ironic and shameful, however, that Americans, in all their moral superiority, have yet to bestow that level of dignity and compassion to free citizens who are suffering the horrific ravages of terminal disease. 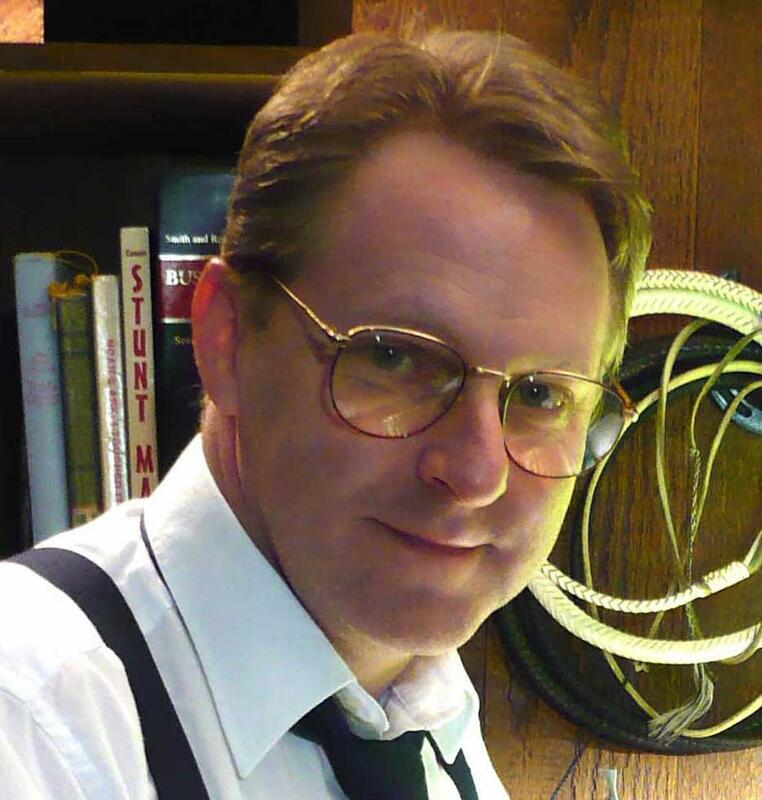 Gery L. Deer is an independent columnist and business writer based in Jamestown. More at http://www.gerydeer.com.